Will Paul Feig’s streak of ruined childhoods and devastated kids never find its end? It’s bad enough that the Bridesmaids director had to go and make a fun, funny, female-led reboot of Ghostbusters. Now he’s going after the childhoods of today, too, by encouraging kids to buy an absolute crap-ton of toys based on his film. 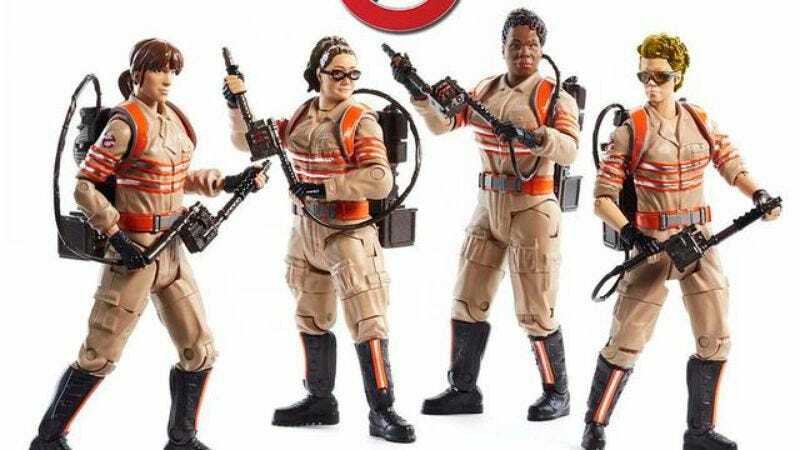 That’s per Mattel, which says that its Ghostbusters line of toys has “exceeded expectations” for sales in the wake of the film’s July 15 release. That’s across both male and female demographics, apparently, which might owe in part to the company’s decision to ignore decades of cootie-prevention research and place action figures of Leslie Jones and Kristen Wiig—confirmed girls—in the “boy” action-figure aisles at stores. “We’re thrilled with the response to the new Ghostbusters toy line,” a company executive told Variety, before presumably darting into a bathroom to administer himself a life-saving dose of circle, circle, dot, dot. Meanwhile, we can only assume that some part of the internet is going into convulsions about, like, wearable proton packs that button on the opposite side right now—at least, until Feig’s deadly Childhood Erasure Wave finally reaches them, and wipes their pasts away.